Rebound Ace® in collaboration with HARO Sports Flooring presented an alternative tennis surface for Davis Cup action last September. 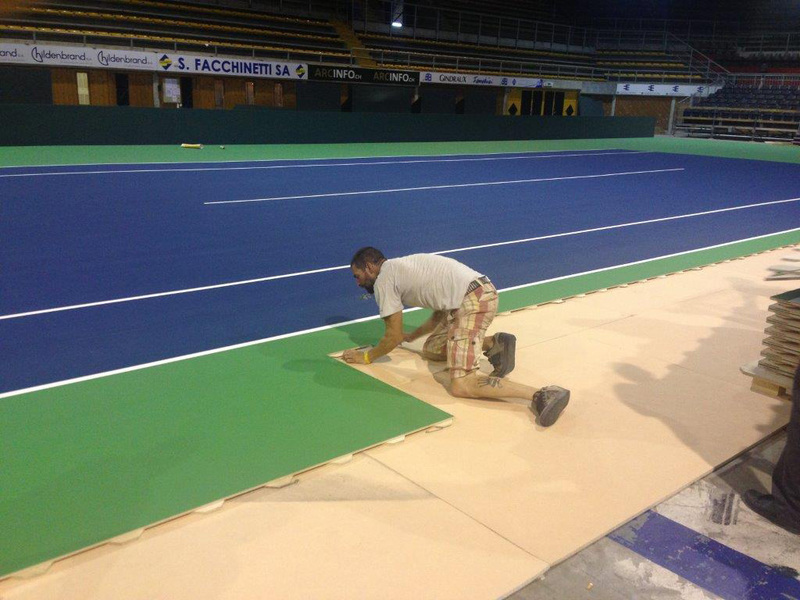 As the world’s first completely mobile surface system, the ROME Tennis surface provided a temporary surface for the Germany vs Brazil and Switzerland vs. Ecuador matches. Both home squads, Germany and Switzerland, came out victories on the portable cushioned tennis surface. HARO Sports Flooring is among the leaders in elastic-coating sport floors. For decades, Rebound Ace® has been one of the leading manufacturers of acrylic based sports surfaces. Together they have created a pre-coated, portable tennis surface that consists of a cushioned wooden base that is surfaced with Rebound Ace® acrylic top coats. 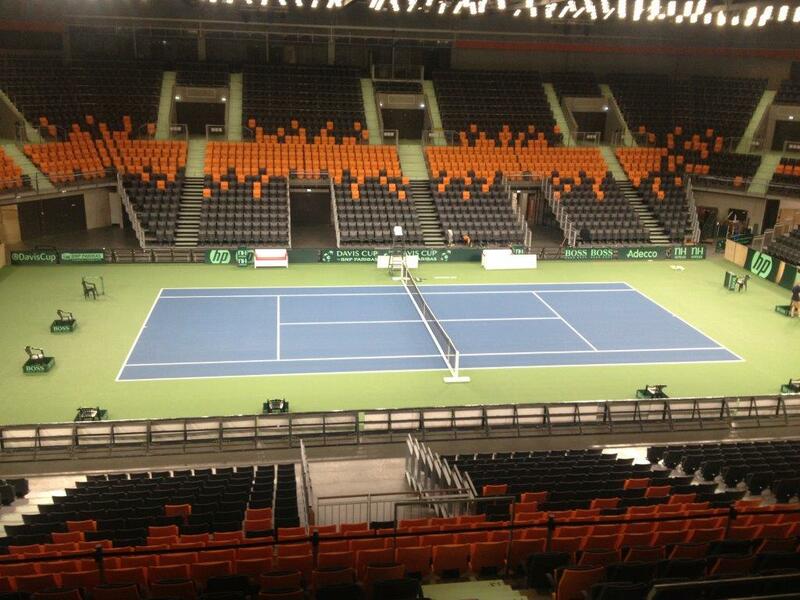 Its size and ease of installation makes it perfect for use in large venues for special events such as the Davis Cup. It was used for the first time at the Olympic Games in Munich in 1972, and has been installed in more than 20 countries around the world. 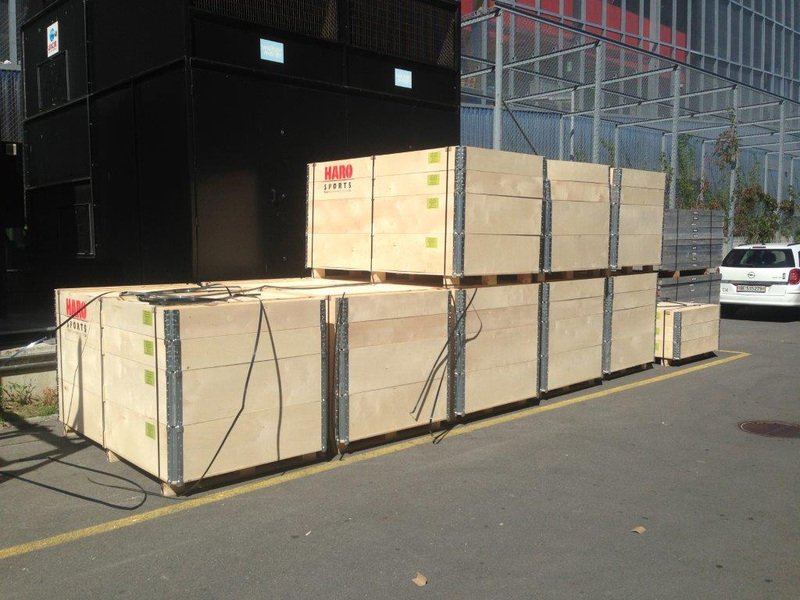 The ease of installation makes it ideal for busy multipurpose venues. It can be installed in about 3-4 hours and stored in one 40’ container. 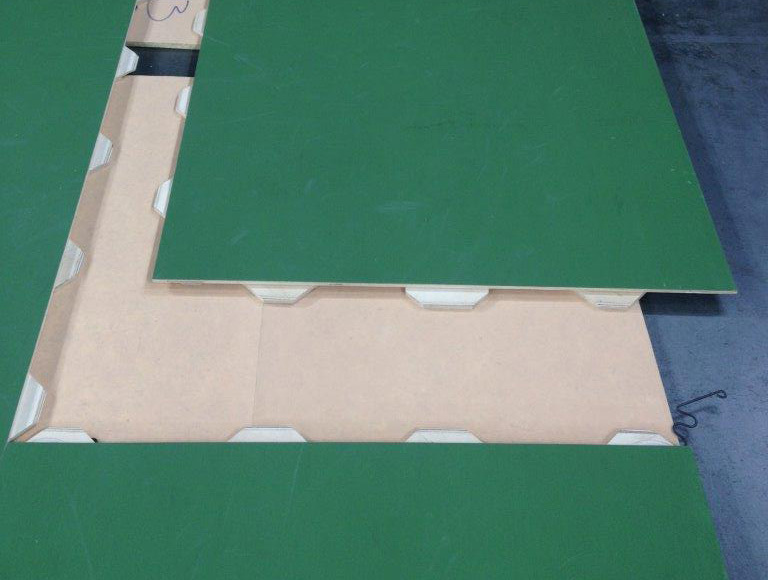 The portable surface system can be installed/removed countless times with recoating to individual event or sponsors specifications. No other portable court system on the market offers this combination of top performance and perfect logistics. The installation for the Germany vs. Brazil match (seen at top) utilized 10 men. It took 3 hours and 25 minutes to complete. To learn more please visit the HARO website or contact us here or by calling 978.623.9980. This entry was posted in California Sports Surfaces, Rebound Ace® and tagged Acrylic Surface, California Sports Surfaces, Cushioned Court, Haro, Haro Sports Flooring, Mobile, Mobile Tennis, Mobile Tennis Court, Portable Cushioned court, Portable Surface, Portable Tennis Surface, Rebound Ace, Rome Tennis.